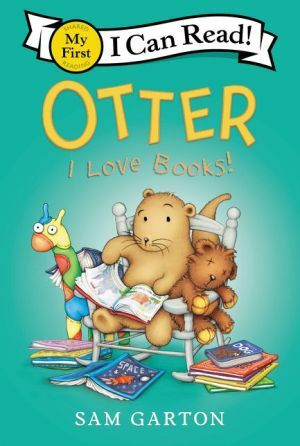 On her next adventure, Otter—the irrepressible character sure to be adored by fans of Llama Llama—discovers a love for books and reading. Otter: I Love Books! is a My First I Can Read book, which means it’s perfect for shared reading with a child. Read about more of Otter’s adventures in I Am Otter, Otter in Space, Otter Goes to School, Otter Loves Halloween!, Otter Loves Easter!, Otter: Oh No, Bath Time!, Otter: The Best Job Ever!, Otter: Hello, Sea Friends! ; and Otter: Let’s Go Swimming!